These new stars aren’t new at all — but they still have a story to tell. Novae occur when a dead star flares back to life in the sky. These events signal a white dwarf, the remnant of a star like our Sun, suddenly and briefly reigniting fusion in its thin atmosphere as it pulls mass from a companion star in a binary system. The event is called a nova because people once thought they were completely new stars in the sky. Now we know they’re not, but these transient phenomena are just as astronomically intriguing, giving us a glimpse at the dynamic interactions in binary star systems. And recently, astronomers just spotted one of the brightest yet. The new “star” (or, in truth, the recent flare-up of a long-dead star) occurred in the Small Magellanic Cloud (SMC), a dwarf galaxy gravitationally bound to our larger Milky Way. The SMC lies 200,000 light-years away and is visible from the Southern Hemisphere. Ground-based telescopes including instruments at the South African Astronomical Observatory, the Las Cumbres Observatory, the Las Campanas Observatory, and the Cerro Tololo Inter-American Observatory caught the event in conjunction with NASA’s orbiting Swift Gamma-Ray Burst Mission. South African Astronomical Observatory, located in Sutherland, which is 370 kilometres (230 mi) from Observatory, Cape Town, where the headquarters is located. 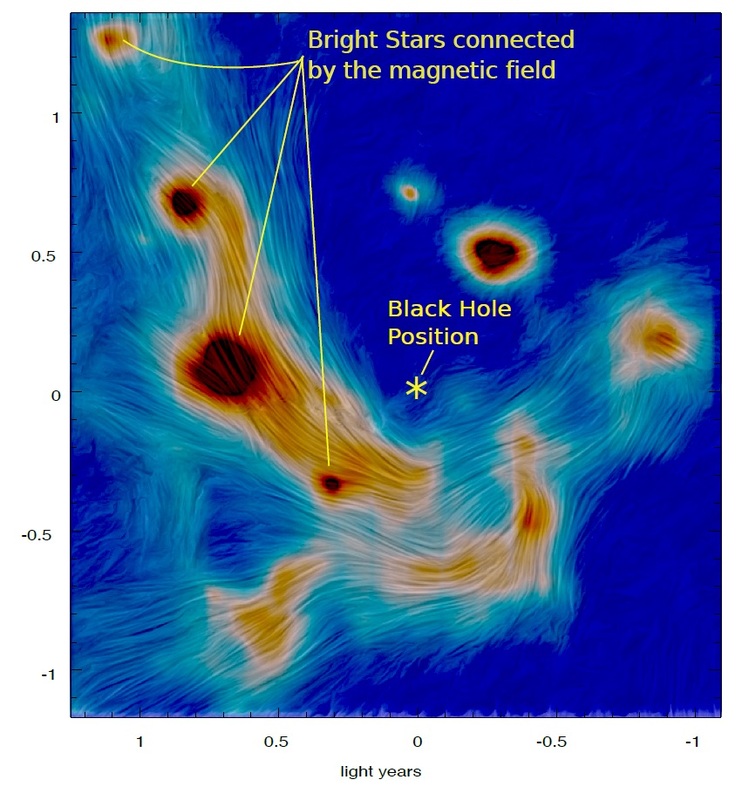 SMCN 2016-10a, the nova’s designation, was spotted in October 2016. 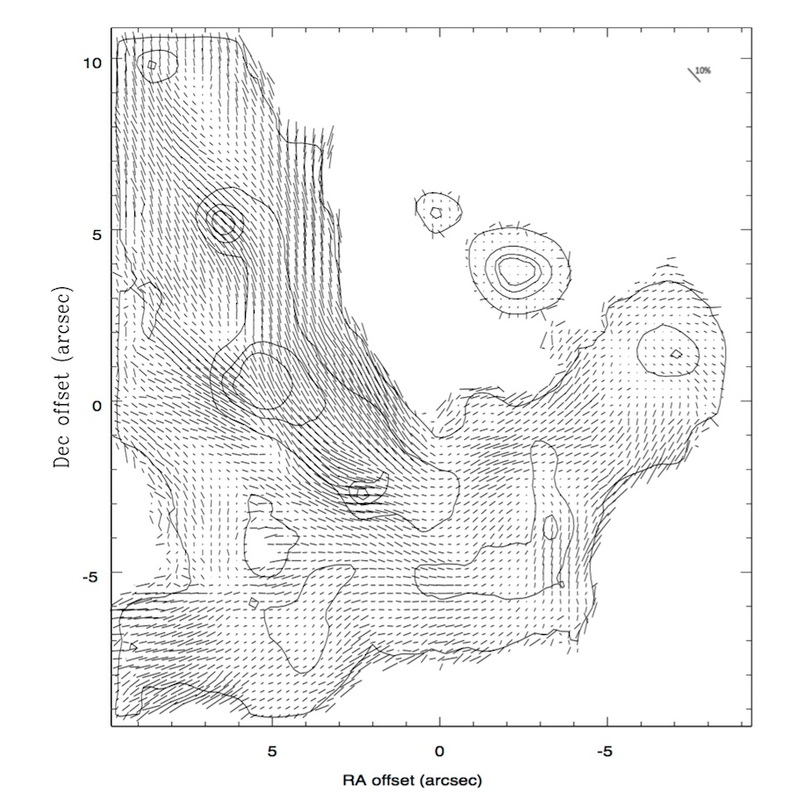 A paper aptly titled Multiwavelength observations of nova SMCN 2016-10a – Probably the brightest nova in the SMC and one of the brightest on record, has been accepted for publication in Monthly Notices of the Royal Astronomical Society. First author Elias Aydi is jointly affiliated with the South African Astronomical Observatory and the University of Cape Town. 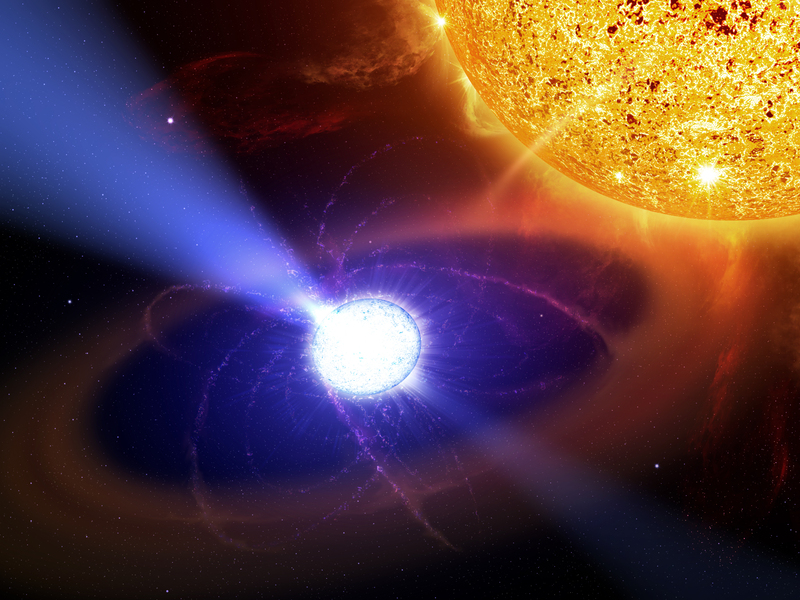 That close-up view has shown scientists that the nova’s progenitor white dwarf “is close to the theoretical maximum,” said Kim Page, who led the X-ray analysis of Swift’s data from the University of Leicester. That maximum, called the Chandrasekhar limit, states that if a white dwarf becomes more massive than about 1.4 times the mass of our Sun, it will tear itself apart. Based on their current mass estimate for SMCN 2016-10a’s white dwarf, “continued accretion might cause it eventually to be totally destroyed in a supernova explosion,” said Page. Despite its distance, the nova’s brightness makes it a valuable contributor to astronomers’ efforts to understand such events, including how and why they occur. Not all novae are the same — some flare quickly, others more slowly. Some novae repeat fairly regularly, while others have not been seen to reoccur (within record, at least). Understanding the physics behind these events will let astronomers delve deeper into the workings of stars and their life cycles. Given that this white dwarf also seems poised to someday go supernova, it’s providing astronomers with a unique view of the events that may lead up to a white dwarf’s ultimate demise. 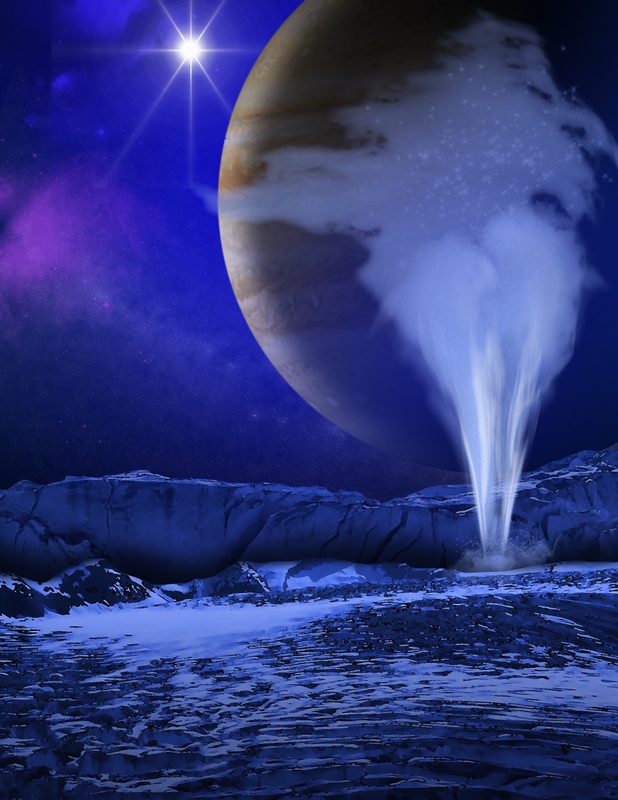 “It’s been a big shift, but it’s been kind of gradual; it just kind of kept creeping up on people,” JPL’s Diana Blaney, principal investigator on the Mapping Imaging Spectrometer for Europa, said. That shift happened in two parts, fueled by discoveries in broadly different fields. First came the idea that life could live in colder, darker, stranger places than biologists could have dreamed. Second came the idea that the most basic conditions for survival – chiefly the presence of liquid water – could turn up in unexpected places. The Galileo spacecraft left Earth in 1989, bound for Jupiter amid intensifying speculation about what it might find waiting beneath the ice at Europa. Galileo’s close flybys of the Jovian moons confirmed what Voyager’s images had hinted at: liquid water exists well outside the familiar confines of the Goldilocks Zone, beneath the ice of Europa and Ganymede. 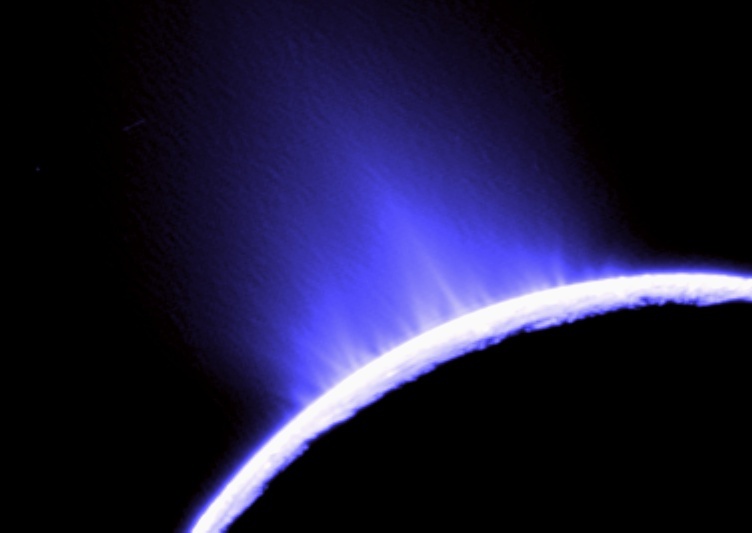 Then, in 2005, the Cassini spacecraft captured surprising images of watery plumes jetting out from the southern surface of Enceladus. Now astrobiologists may have to rethink the limits of habitability again. 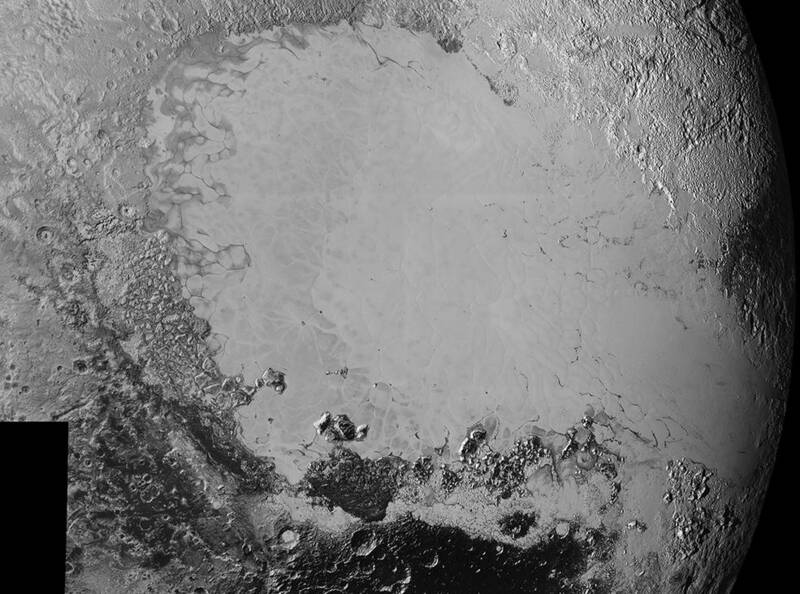 In late 2016, William McKinnon, a planetary scientist at Washington University in St. Louis, and his colleagues concluded that orientation of Sputnik Planitia, the icy heart-shaped basin in Pluto’s northern hemisphere, could only be explained by an uneven distribution of mass in the planet’s crust. Original discription: This image contains the initial, informal names being used by the New Horizons team for the features on Pluto’s Sputnik Planum (plain). Names were selected based on the input the team received from the Our Pluto naming campaign. Names have not yet been approved by the International Astronomical Union (IAU). 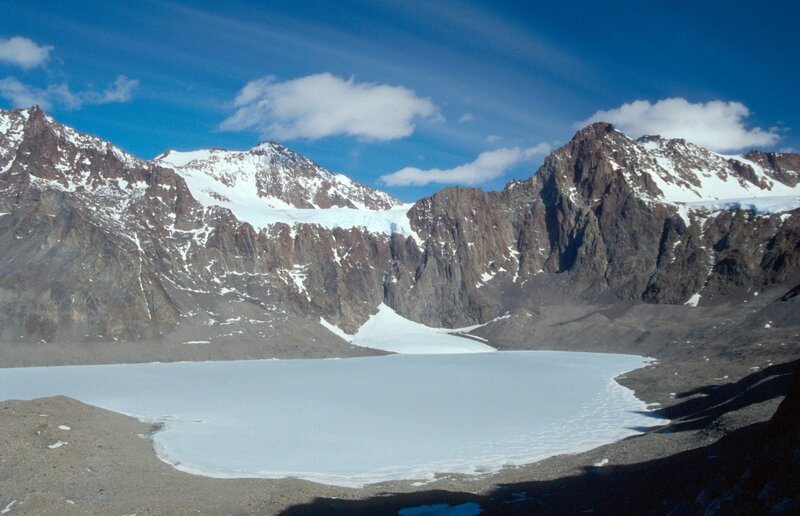 That, in turn, the researchers claimed, could only be explained by a liquid ocean of (mostly) water beneath the ice. There’s no proof yet that Pluto hosts a subglacial lake similar to those beneath Antarctica’s ice, but the research proves it’s theoretically possible for Kuiper Belt Objects to hold liquid water. “I think it’s probably likely that gas giants are more common than terrestrial worlds, so just by sheer numbers, I think that they could either directly or indirectly provide far more habitable zones, far more Goldilocks zones, than terrestrial planets,” said Niebur. “The technology limitations mean that you’re going to have to restrict yourself to the traditional definition of the Goldilocks, but I think that as our technology increases, we can pursue the more modern and accurate Goldilocks zone concept as well,” said Niebur. “People have to kind of keep an open mind about what’s possible and – and let the data take you where it takes you, because sometimes it takes you to places that are unexpected – like Europa,” said Blaney. For millennia scientists and observers have learned from our Sun and other stars that move throughout the night sky. The life and death of stars teaches us about star formation, solar system formation and occasionally fills on those odds and ends questions about how we came to be. Depending on what they’re searching for, stars like our Sun can help modern day scientists discover other planetary bodies, like exoplanets. One of the main ways they do this is by using telescopes like Kepler that looks for a dimming of the light curve as a planet transits across the plane of the star. The bane of exoplanet hunter’s existence is the sunspot. Our sun goes through cycles and sunspots can easily be seen with a solar telescope of even solar eclipse glasses. But a sunspot can be there one day, and gone the next. If a telescope like Kepler is examining a star looking for planets and a sunspot is present on the surface that will affect the amount of photons hitting its spectrometer, and could lead to false positives. However, understanding these strange planetary bodies from these extreme distances can prove challenging. Recently researches at the University of Porto in Portugal and Institute of Astrophysics of Georg-August-University of Göttingen published a paper in the journal of Astronomy and Astrophysics showing that the normal activity of stars could be the reason why some exoplanet angles appear extremely misaligned. 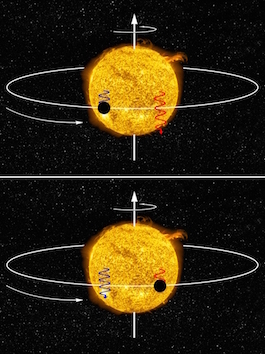 Using the Rossiter-McLaughlin effect, or RM effect, exoplanet researchers measure the spin-orbit tilt of exoplanets, which is a factor in determining a specific planetary migration model. They want to know if the planet formed cleanly inside the planetary nebula, or migrated inward after forming in the outer reaches, accounting for a discombobulated arrangement. The RM effect measures the amount of doppler effected light coming from the star. Using spectroscopic wavelengths of light they measure the amount of red and blue photons coming from the host star. If looking head on at a star like our Sun, it will spin in one direction — if it spins in a clockwise motion, the right side of the star will look slightly red-shifted as it moves away from us and the side spinning towards us will look slightly more blue-shifted. 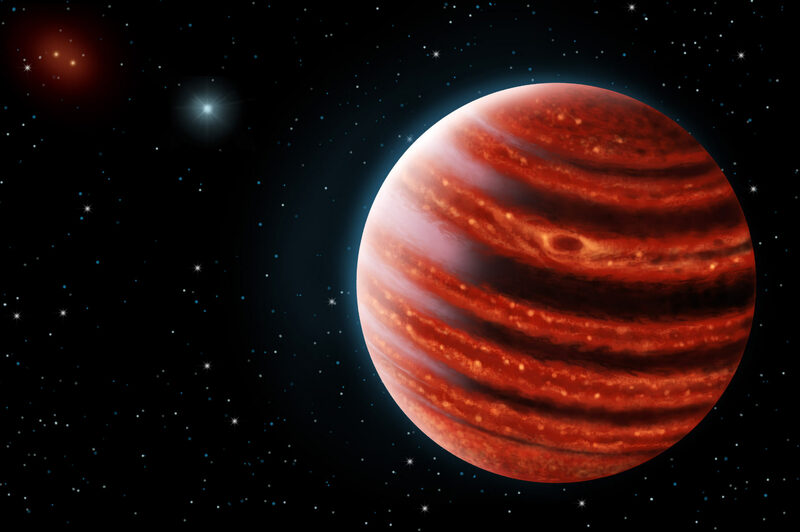 When a planet passes in front of its star, it will block out either more red or blue light, depending on its size and the angle in which it’s orbiting. Planet formation is a tricky business and it can happen in a myriad of ways. Many planets orbit at a relatively normal angle, but some can be tilted a full 90 degrees, or pole-on as they orbit their star. These extreme tilts tell scientists a lot about how these planets formed, and how their host solar system formed. One of the biggest issues scientists have when searching for these exoplanets is stellar activity of the planet’s host star. As we know from our Sun, stars can be quite active, creating sunspots, ejecting plasma out into space, and displaying brighter spots on the surface called “plages” which are convecting areas that appear to be red-shifting as the material moves deeper into the star. All of these normal stellar behaviors interfere with the amount of red and blue light reaching the observer, and in turn can interfere with the spectra data being collected from the telescope. 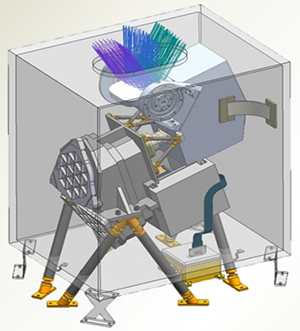 The team hopes that their findings will inform future research and how instruments are designed on upcoming observatories. “These results will make us rethink a bit the way we derive these angles, and will be more conservative on the errors assigned to each spinning angle,” says Figueira.While this likely won’t negate any previous results, it could help explain the anomalies that still exist in the catalog of wonky exoplanets and hopefully help scientists better understand how they form in the first place.